Do you know, when was first Smartphone launched? In 1994, yes! The first Smartphone was launched on August 16, 1994, Named IBM’S SIMON. You could send EMAILS through IBM’s Simon at that time. After that many companies are coming in the Smartphone market in the 2000s. There was 1st, 2nd, 3rd and 4th generation Smartphone came into the market. Currently, 4th Generation Smartphone is running (And 5th Generation is coming!). There are a lot of unique features will be loaded in Next Generation Smartphone. So, here we provide the details about features of next generation smartphone you should know about. How’s that if you able to put your phones in your pocket like tissue paper or hanky? Isn’t it sounds good or exciting? Yes! It is possible. In October 2018 Chinese company ROYOLE FLEXPAI launched the first foldable Smartphone. South Korean company Samsung and Chinese company Huawei will also be going to launch their brand-new Foldable Smartphone very soon. The cost and design of the phone are not specified yet but it will come into the market very soon. Nowadays, smart phone is running on 4th Generation connections, but very soon in 2020 5th Generation connections will be come. 5G connections will be faster and lighter than the 4th Generation. 5G connections will be come up with higher bandwidth. Fast charging is working right now on some Smartphone, but as you know people want MORE! So, the upcoming features in next-generation Smartphone have Ultra-Fast Charging. Ultra-Fast Charging will charge your phones within 5-10 minutes from 0 Percentage to 100 Percentage. Do you know how much internal storage was available in FIRST Apple iPhone? 4 GB internal storage and 128 MB RAM! Yes, you read right. At that time 4 GB of internal storage was too much space. Nowadays, almost every phone has more than 3 GB of RAM. All the phones have 32 GB or more than 32 GB internal space available nowadays. Next Generation Smartphone will be come up with 10 GB or more than 10 GB of RAM and 256 GB or more than 256 GB of internal storage. Higher the RAM capacity means the smoother performance of the Smartphone. So, Higher RAM capacity will give you better and smoother performance. What happens if you put your Smartphone in your wallet like a Credit card? Yes! It is possible in the next Generation Smartphone. Next Generation Smartphone will become much more-thinner than current Generation Smartphone. A camera is one of the best and hot favorite segments in Smartphone. Nowadays, almost all new phones come up with a dual camera. The dual camera feature is directly competing with DSLR for short distance capturing right now. Currently, many Smartphone is available in the market with decent camera quality. But in the next generation Smartphone you have almost all the features that DSLR have currently! This is all about Next Generation Smartphone Features. Now its consider computer users now let’s start hunting to put in your lovely android app Showbox, Here we’ve got a small constraint however, you would overcome it easily. I imagine you might know about an android emulator, it really is used run all android applications on computers, we’ve got lot of emulator from the social market. Before going to set up Showbox app you need to set up an android emulator app that might help you in way to allow for all android applications into a computer. If you want to download an android emulator undergo below-provided link for getting an emulator. In the above we’ve got set the top android emulator BlueStacks, it had been recommended by all experts of android app developers and review critics of android apps. If you get graphic card error while installing above included BlueStacks visit Download And Install BlueStacks Without Errors to generate relief from troubles. The very next step is after downloading an android emulator BlueStacks that maybe you have to setup BlueStacks in very common manner after completion process you can see icon file of BlueStacks on your own monitor. Now follow below four amazing steps to put in ShowBox app on your own computer, here i will discuss offering images for every single step to overcome your confound. First off, obtain the Showbox updated apk file with this source. Open or install the file using the software of BlueStaacks and it’ll be installed. Open icon file of BlueStacks and watch for some time you will see a window as identical to below. Quickly find the Search bar and type any app to have more apps, for further clarifications experience below image. Click on shown app and watch for few seconds the idea will open. You have successfully installed showbox app, to get installed app proceed through All Apps. Size of Showbox app is minimum it wouldn’t made any problem to remove other apps install Showbox. We have reached window from the article in case you have any quires and suggestions absolve to contact or shoot out words below comment box, just as before i am repeating that in the event if your unable install please move through above procedure once to rectify your errors with Showbox. And be the first ones to share this article using your peers on web 2. 0 and also here it is possible to find all latest versions of Android apps. He cannot start to see the world around him but that didn’t deter 18-year-old Tapas Bhardwaj from chasing his dreams as they aced CBSE 12th Board exams scoring 91.4 % marks and topping his school where he studied with normal children. Tapas, students of DPS R K Puram, who’s no vision in his eyes since birth, took the test with the help of a scribe and notched up 457 with the total 500 marks just 39 short from the all India topper M Gayatri, who secured 496. Raised within a joint family, he got every one of the support he was required to overcome the difficulties he faced since childhood. He studied normally for 7-8 hours employing a special software that converts text to voice on his laptop, said his elder brother Nakul. Tapas’s class 12 scorecard that reads– English Core, 95, Psychology, 90, Sociology, 95, Legal Studies, 94, Computer Science, 83–speaks volumes about his intelligence and grit to triumph against all odds. Besides, vehicles had Hindustani Musical Vocal as a possible additional subject by which he scored 92 marks. His listing of achievements includes 35th rank in PwD (Persons with Disability) sounding Common Law Admission Test (CLAT), 2015. He has also topped inside the same category for your five year integrated (Hons) Law course test conducted by IP University. Having curiosity about Law, Tapas has now set his sights on setting up a mark inside legal field. His uncle Arvind Raj Sharma, a politician, stated that his teachers and family thought it far better to allow him to pursue studies within a field of his choice. “His daily routine was almost the same as of a typical normal teenager. He traveled to school inside a school bus and attended classes together with his classmates. The only difference was that while other students wrote notes inside their copies, Tapas keyed them using a laptop,” said Nakul. Latest News Update on CBSE.nic.in and CBSERESULTS.nic.in 10th Board Results 2015: The CBSE Class 10th (X) SSC outcome is finally out! After much delay the final results were delcared around the official website of CBSE CBSE.nic.in and CBSERESULTS.nic.in. This time again the women outperformed the boys within the CBSE CLass 10th SSC examination with number of girls who qualified for higher class being 97.82, while for boys that it was 96.98. Latest News Update on CBSE.nic.in and CBSERESULTS.nic.in 10th Board Results 2015 Website May 27: The CBSE Class 10th (X) SSC results 2015 will probably be announced today (May 27). The Central Board Of Secondary Education (CBSE) will declare the SSC X results 2015 about the official website Cbseresults.nic.in & Cbse.nic.in today. Students can visit the official website or access the outcomes via SMS by typing board name accompanied by roll number and sending it to 57272. Latest News Update on CBSE.nic.in and CBSERESULTS.nic.in 10th & 12th Board Results 2015 Website My 23: According to the newest sources from CBSE the course 12th board results will probably be announced on Monday, May 2015. Earlier CBSE Board class 12th (XII) results 2015 were likely to be declared by yesterday of May. Latest News Update on CBSE.nic.in and CBSERESULTS.nic.in 10th Results 2015 Website May 22: Although the CBSE board class 10th (X) Maharashtra HSC Result were likely to be declared on May 21, the dates continue to be not confirmed. But much like the latest reports the Class 10th results will probably be declared by CBSE Board on its websites CBSE.nic.in and CBSERESULTS.nic.in before May 25, 2015. Latest News Update on CBSE.nic.in and CBSERESULTS.nic.in 10th Results 2015 Website May 21: As per the reports CBSE 10th Board Results are further delayed and they are not going to be declared today, there’s no official statement from Central Board of Secondary Education (CBSE) about the time and date on the class 10th (X) results yet. We will keep updating this space with the newest updates from the state-run CBSE result websites CBSE.nic.in and CBSERESULTS.nic.looking for CBSE 10th exam results. Central Board of Secondary Education is required to declare the course 10th most current listings for 2014-15 session tomorrow (May 21) for the CBSE official websites CBSE.nic.in and CBSERESULTS.nic.in online according to the latest reports. As we know, now almost all of the school and college degree boards in India are utilizing internet being a preferred medium to declare their board results via respective official websites. This is the easiest, convenient and fastest way to confirm the recent results for students having a connection to the web or access to the internet on mobile phones. But what are fastest method to get CBSE 10th Board Result 2015? We provide you with the secret here. If you want to are the first someone to know the CBSE 10th (X) Board 2015 result go here then directly get on CBSERESULTS.nic.in rather than on CBSE.nic.in, as the outcomes and mark sheets can just be accessed at CBSERESULTS.nic.in. The other website and that is CBSE.nic.in is only used by CBSE to redirect the kids to the main result website CBSERESULTS.nic.in. Though friends have no blood retaliation but they always make us to feel that someone is behind you to support you, care you, loves you. 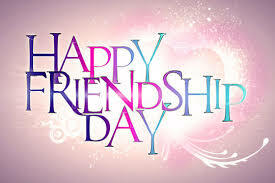 To express your feeling towards your friends the special fest of Friendship Day is coming soon. So enjoy your friendship day with wishing the beautiful short mothers day quotes and Sayings we have recently collected for you. These are fresh and pretty useful convert your emotions in words. Have it on the below section. Always says “everything will be fine”. These are all the pretty lovely collections of latest Attitude status in Hindi. Hope you will like it. You can share it with your new friends, old friends or to your sis or brother who are always been with you as a friend. Every year Joint Engineering Exam is conducted for the students who want to get admission in the reputed universities of IIT. CBSE organize this exam on 4,10 and 11 April 2015. Students who had attempted this examination can look forward to the JEE Main 2015 Results on its official website www.jeemain.nic.in. 27th April is the final date for disclosing the JEE Main results. Who are eagerly searching for results can log on to the publishing or CBSE site to show results. JEE is a competitive test for the 12th class students who want to get entry in the various engineering and technology courses for IIT. Result of jee main 2015 will shortly fall on 27thApril 2015. JEE exam is organized by Central Board of Secondary Education to check aptitude of students. It is renowned as the biggest engineering entrance exam across India. all NITs, IITs participate in this exam to get bright students in their from all over India. lakhs of the students participate in this exam for joining in this reputed university. JEE Main Exams have just finished and if you are striving to get results you can look it on its official site. Just open its legal portal. Or you can also log on to cbse site and find for JEE Main 2015 Results. Now search for the link mentioned in the above line. Now submit your admit card no and date of birth in it. Now you are ready to see your results on the display screen of computer or mobile. Technology is growing faster and communication means becomes much better than previous era. Whatspp, WeChat and here launched Jio Chat, a wonderful application to challenge them. Jio Chat is launched by Reliance group to share texts, images, voice calling, and video calling. It is one step ahead a best home-grown application for the Indian users, absolutely free to install in android platforms and iOS devices. Now the question is how to install Jio chat in PC? You can follow our instructions of we are how to install Jio Chat for PC. But before moving ahead we are going to show you the key features of Jio Chat. Shares instant messages, voice callsvideocalls. Offline chat option is available. Free Emoji’s and stickers available share emotions. Hide or share images and messages. No need to sign in again and again once you sign in. Keeps you updating and connecting with latest brands and celebrities from news, entertainmentandsports. If you interested in install best social app then download hello android app for PC. It is obvious that above features tempts everyone to download this app in PC too. You can download filmora in Windows 7 or XP through android emulators. In android emulators we choose bluestacks. Bluestacks is reputed and well-known emulator smoothly works in the installation process. So let’s start the process with bluestacks. Open the installedbluestacksin your Windows PC. In the searchcolumnyou need to type Jio Chat. Click oninstalltab to begin the download procedure. Jio Chat is downloading, wait till the downloading procedure don’t complete. Just click on the app and start using this app. It is a step by step explanation to download Jio Chat for PC. You must have a web camera, microphones for sharing videos or experiencing the video calling facility. Follow this procedure and get connecting with the friends and family in the bigger screen of the PC. It packs the salient feature of the three most customizable roms available to rooted android users. So if you are going to root your phone then you must install this ROM for sure. Let us talk about its features. PAC borrows the ever useful Pie Menu and Full-screen Mode from Paranoid Android. Pie is a multitasking environment creator providing you all the necessary apps and settings shortcuts on screen that you need and thus you no longer need the clumsy navigation and status bar. Therefore, you have the full-screen space at your disposal and you can do whatever you were wishing to do with that screen space. Pie is there for your smooth navigation through all the apps and settings and every corner of android. Another fascinating feature It borrows from Paranoid Android is the per-app DPI feature. This feature lets you resize each app available on your rooted android device according to you own taste. You can increase or decrease the size of each app so that they can appear bigger or smaller on display. Thus you can control the overall appearance of your device. Further, PAC rom takes the Navigation Bar customization and Ring feature from AOKP. You can customize the navigation bar of your smart phone deciding the number of apps that appear on it or giving it a particular color as well as what the buttons would do on short press and long press. Everything is in your hand. Another fascinating feature is the Ribbon function that PAC rom also borrows from the AOKP. This ribbon function enables you to set up rows of buttons in strategic locations all over the display and allocate different service actions for them. Your device can be used as a swipe pad, which is kind of enthralling. Bur reminding you again if you have not rooted your phone there is no way you can use these features. PAC rom is awesome to use but with every advantage, there is a certain disadvantage. Here the disadvantage is that PAC is just a mash up three other popular roms and do not have anything original of its own. So it becomes weary sometimes and compared to other roms which offer great developer support PAC is weaker in this area. PAC includes mods and tweaks from other roms which while combined together might not work as they work on individual roms and thus the whole purpose may fail. Other than this PAC developers have to work hard when the original roms push updates and introduces new features so whole lot of work is required to include these features into PAC rom. Overall this is very nice rom to use which offer great stability and customization that normal android user on a manufacturer installed rom or firmware cannot even imagine. All you need is rooting your phone and get the taste of PAC rom and unleash the true power of android and use the android the way you have never used it before. Rooting your phone may let you enjoy these features and you can also install a large number of custom roms available out there and all are free to use.